PCI is a leading private insurer of affluent and high net-worth individuals and families as well as many professional athletes, celebrities, executives and wealthy clients in other select high-profile professions. We are here to insure your health, your valuables and your wealth and we take our job as seriously as you take protecting your wealth and your family. As well as being a leading private insurer of homes, personal wealth, yachts and all of your valuables, PCI is also a leading private insurer of exotic cars, collectors cars and all other types of luxury automobiles. Our brokers are here to help make sure your dream cars are fully and adequately covered against damage or loss and have full liability coverage. At PCI, we share your love of the luxury, elegance and sheer beauty that is in every exotic and collectible automobile. Our carriers are some of the highest rated in the business and all of them have insurance professionals that also share your love of exotic and collectors automobiles and who are dedicated to providing you with the finest service possible for your fine automobiles. Whether you own a Ferrari, a Buggatti, a Bentley, a Lamborghini, Rolls Royce, a valuable collectors car, or you have an entire collection of exotic or collectors cars, you need insurance suited to meet your specific needs and the way you enjoy your automobiles. PCI and our carriers really are totally dedicated to making sure you are carrying the fullest, most complete insurance coverage available for your valuable automobiles. 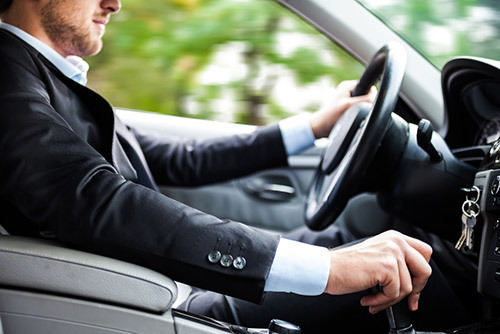 We are here to provide you with the total peace of mind you need, so that you can feel secure and relaxed whenever you’re behind the wheel of your car and also when you're not. Let's be honest, as a real car lover, aside from your home and maybe just one or two other possessions, your cars are the most prized possessions you own, and rightfully so! They are also probably some of the most valuable assets you have. You have a lot of money and most likely quite a bit of time and hard work that you lovingly put into your cars. This means that you want and need to make sure they are totally covered for every possible scenario in which they may be stolen, damaged or even totaled-out in an accident or other event. In order to guard against financial loss in the event of your exotic or collectors car being stolen, or totally destroyed, one of the most important coverages to look for and include when setting up your insurance is "Agreed Value" coverage for your cars. "Agreed Value" coverage will take care of you in the event of a total loss of your car and pay you the value of the car that you have agreed to at the time it is insured. In the event of a total loss, this coverage can literally save you from financial disaster, especially in the case of very high-end exotic cars or one-of-a-kind collectors cars. There is no depreciation applied for exotic and collector vehicles, so you get the full amount agreed to. Again, in the case of high-end exotic cars like Buggatti and Rolls Royce, or one-of-a-kind collectors cars, the other coverage you simply must have is "Diminished Value" coverage. If you are involved in an accident that was not your fault, "Diminished Value" coverage will cover the value of your car that is lost due to having an accident history versus not having an accident history. If you have a $500,000 car and it is damaged in an accident, even if the damage is repaired to perfection, your car is now worth only a percentage of what it was and this can mean a serious financial loss, so make sure you have this all-important coverage. One of our primary carriers, ACE Group, is a leading provider of exotic and collectors car insurance and can offer some of the most comprehensive policies available for both. Both of our other carriers, AIG and Chubb, also offer very attractive and customizable exotic and collectors car coverages for your cars, which can also be designed around your specific needs. No matter what type of automobiles you have, we have the automotive professionals at the top insurers in the insurance industry, ready to take care of your cars and make sure they are fully protected and covered. 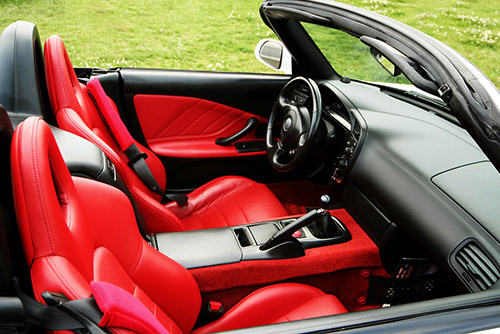 If you are an exotic car or collector car owner, or you represent a exotic car or collector car owner and you would like to find out more about how PCI can provide insurance coverage for your automobile(s), please call us at 301-245-0130 to schedule an appointment or talk to one of our representatives. We look forward to hearing from you!